As a Canadian who is regularly hit with a generous dose of wanderlust, I understand how expensive travel can be. On top of the cost of a basic flight, you also have to cough up if you want any perks. There is tremendous power in travel rewards credit cards to mitigate these costs and inconveniences. 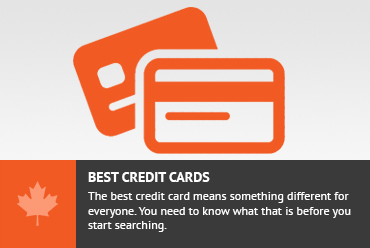 The idea of credit card rewards is a relatively new concept. Being in the business of loaning money is lucrative, so credit card companies and banks have created a new way to entice consumers to use their credit cards. When rewards first emerged, the travel rewards cards perks would entail points that you could use toward a flight. As the market for rewards cards became more competitive, a variety of different cards emerged with a plethora of perks that go beyond the points system. I’ve done the research and have hand picked some of the best features of Canadian travel cards, which will help you keep the cost of travel low and cash in on some great benefits. Companion flights are a great feature of some Canadian travel rewards cards. These cards give you one free or low-cost companion flight each year when the companion is travelling on the same itinerary as the credit card holder. If you have a partner or a friend that you often travel with, this can save a lot of money. Typically, the flight has to be within North America or a short-haul flight, under a certain amount of points or money, and on the same itinerary as the primary cardholder. Travel rewards cards with this feature will have an annual fee, but if you travel often within the same continent, you’ll still save quite a bit of money even when factoring in that fee. There is nothing worse than getting to the airport and seeing a long line of people trying to get through security. This is especially frustrating when you are already running a bit late. There aren’t many cards that have this feature, but a couple of cards allow for priority security access. One such card is the American Express Airmiles Reserve Card, which expedites the security process for any flights leaving from Toronto’s Pearson International Airport. The American Express AeroplanPlus Platinum Card also offers this feature. Typically cards with this feature will also have a higher annual fee and interest rate; however, there are typically other benefits to such a card, which can make the fee more than worth it. If you travel frequently, this can save you a lot of time and hassle. This is another feature that is not found in many cards, but can be found in the American Express AeroplanPlus Platinum Card, as well as the CIBC Aerogold Visa Infinite Card. Priority check-in allows you to skip the long lines at check-in and cut right to the chase. This is a nice feature especially when paired with the priority security feature, because it allows you to get to the airport a little later for the same flight. The priority check-in feature is available at most airports, as it depends on the airline, as apposed to the priority security feature (which depends on the airport itself). Best paired with a travel card that offers some other perks, there are a select few cards that allow you to use fewer points on flights. For instance, the BMO World Airmiles Mastercard gives you a 25% discount on flights booked with Airmiles. If you were to go on a flight that would normally cost 10,800 Airmiles, it would require 8,100 Airmiles instead. This allows you to go on more trips and flights, or will allow you to travel sooner if you aren’t accumulating points quickly. These features will save you money and time and can be worth the annual fee that the card can carry. Do a cost/benefit analysis to determine whether there is value in paying the higher fee based on the features of the card you are considering. Don't subscribe All Replies to my comments Notify me of followup comments via e-mail. You can also <a href='https://www.creditwalk.ca/comment-subscriptions/?srp=2304&srk=2648578ecea05c83754707575dc5a494&sra=s&srsrc=f'>subscribe</a> without commenting.